Women do two thirds of the world’s work. Yet they earn only one tenth of the world’s income and own less than one percent of the world’s property. They are among the poorest of the world’s poor. I don’t think it’s the function of Congress to function well. It should drag its heels on the way to decision. Barber Benjamin Conable, Jr. was a U.S. Congressman from New York and president of the World Bank. Conable was born in Warsaw, New York on November 2, 1922. Conable was an Eagle Scout and received the Distinguished Eagle Scout Award from the Boy Scouts of America. He graduated from Cornell University in 1942, where he was president of the Quill and Dagger society and a member of the Phi Delta Theta Fraternity. In 1962, Conable was elected as a Republican to the New York State Senate. 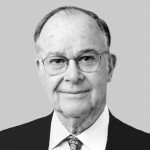 After only one term, he was elected to the U.S. House of Representatives in 1964 from a Rochester based district. In 1952, Conable married Charlotte Williams, his wife until his death. He died from a staphylococcus infection in 2003, at his winter home in Sarasota, Florida.